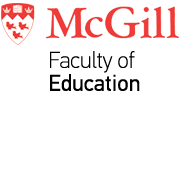 Led by the Faculty of Education, the McGill Research Centre for Physical Activity & Health (PATH) is a hub for researchers interested in promoting health through physical activity. The Institute for Human Development and Well-Being (IHDW) is a transdisciplinary unit drawing together researchers whose work addresses the role that leadership and policy-making can play in human development and well-being. The Department of Kinesiology and Physical Education's Health & Fitness Promotion Laboratory is a transdisciplinary research laboratory with an emphasis on weight control in a variety of populations. The Department of Educational and Counselling Psychology's Perceptual Neuroscience Laboratory (PNLab) asseses perceptual and cognitive processes during autism, autism spectrum conditions. Housed in the Department of Integrated Studies in Education, the Digital Voices: Indigenous Knowledge of Rural Teachers in South Africa research group explores teachers using participatory methodologies to “make visible” the impact of HIV & AIDS on youth.